In 1 Corinthians 12:18, Paul says, “But our bodies have many parts, and God has put each part just where he wants it.” This statement is profound, revealing a deeper perspective of God’s design for the body of Christ and what it means to be fully included and in full participation. When interpreting this verse, we may think of our opportunities to love typical people who just don’t “fit in” in the microculture of our specific home church. Yet when considered more closely, we do well to remember this verse includes people who might look, speak, or behave differently in more than just social ways. And this likely includes people with disabilities - intellectual, developmental, learning, psychological, and even medically-related disabilities. What might it take for our church to fully accept and include people with disabilities? What does it look like to do this well? And, how can we ensure equal access to the gospel of Jesus Christ and a fulfilling and purposeful life for all of God’s children? The individuals who make up the Access Ministry leadership - Dani Shaffer, Greg Roth, Shannon Bennett, Stephanie McHenry, and Kathy Hoffer - have a few ideas. Dani Shaffer explains, "The Access Ministry has the opportunity to come alongside a fairly unreached people group in our communities and bring them into the body [of Christ]. This ministry helps the individuals and the body of Christ learn about what it looks like to play your role well and how to help present individuals complete in Christ. And this can look different for every member. 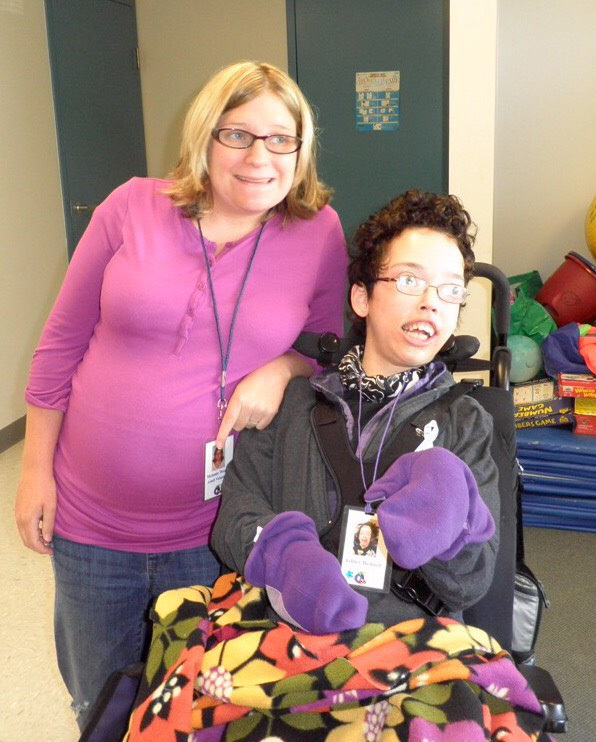 This ministry helps open up perspectives on how God really wants to use individuals with disabilities and teach us so much more about Who God is and How He works." The Access Ministry web pages provides a helpful overview of the support this ministry provides to the church-at-large, but a piece of this ministry is having a growing impact on Xenos as a whole: Home Group Liaisons. 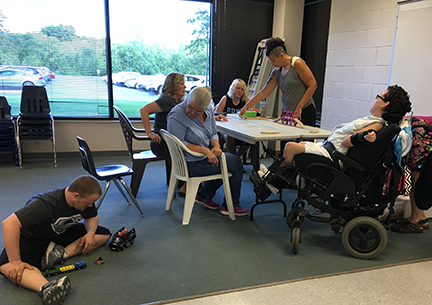 Dani Shaffer shares, "We have two liaisons (Greg Roth and Dani Shaffer) that will work with...adult or student ministry groups in order to best include individuals with a range of disabilities [in the home church]. The liaison can help leadership teams learn different ways to disciple and teach God’s word that will be the most effective for the individual [with a disability] and the groups that God has lead them to." As it is with any member of the local church, God has strategically and lovingly placed us among one another in order to fully experience the “zoe” or “true” life he offers. The Access Ministry team is laboring in love and going the second mile to incorporate people with disabilities in the body of Christ. Please consider joining this endeavor. Please contact Dani Shaffer at dani.shaffer5@gmail.com to volunteer for the HUB or as a buddy. Contact Stephanie McHenry at mchenry.steph@gmail.com to volunteer as a sign language interpreter.